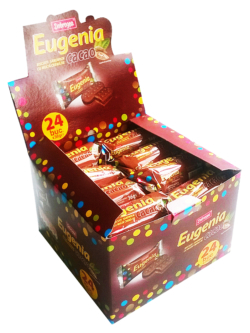 Package: individual packages, Family packages (contain 7 individual packages), display (contains 24 individual pieces), box of 56 pieces. 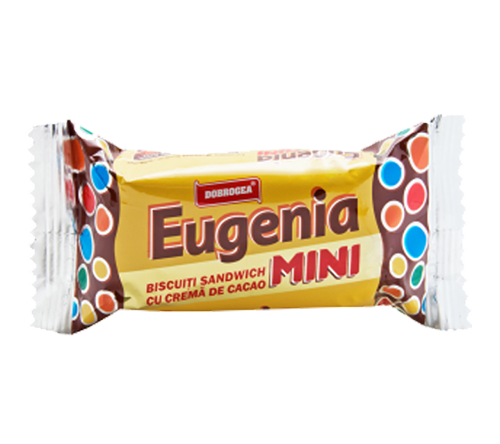 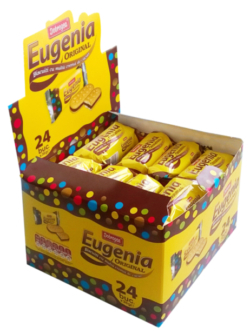 Eugenia Original –crisp sandwich biscuits rich in cocoa and rum cream filling for everyone’s taste. 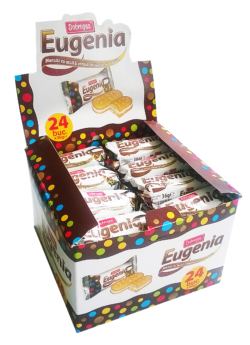 Biscuits sandwich with contrast of taste and color that comes from the rich content of black cocoa and the fine taste of the milk cream. 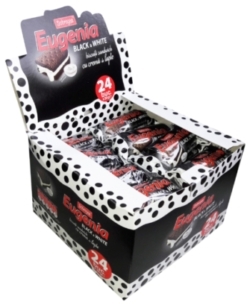 … night and day, dark and light, taste and color … Black & White. 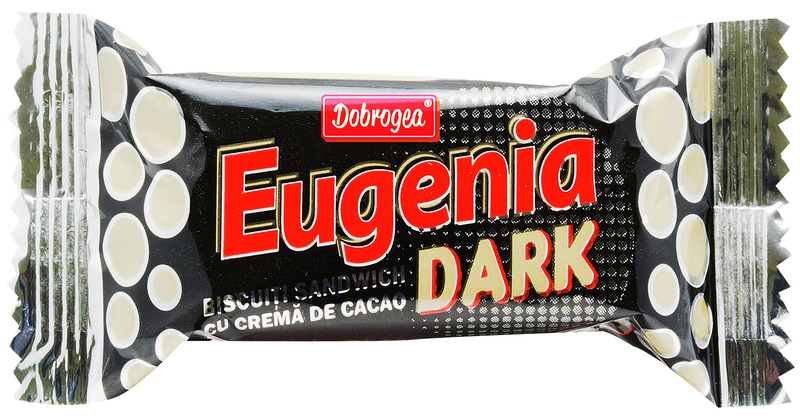 The perfect contrast! 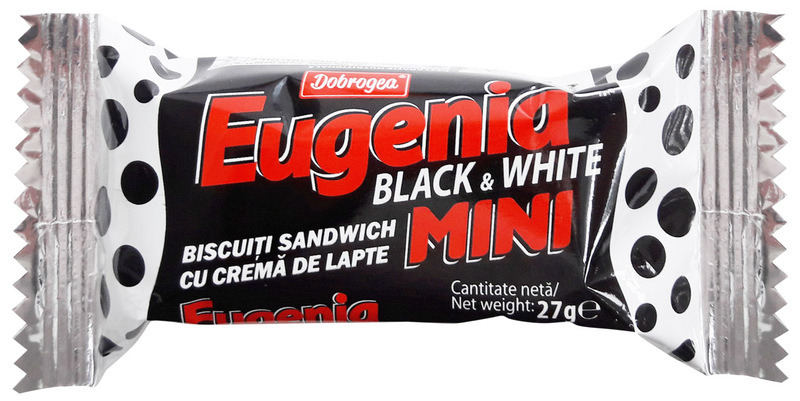 Eugenia with cocoa cream is a tasty crisp sandwich biscuit rich in cocoa cream filling. 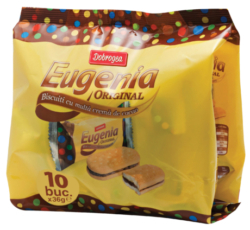 Eugenia with lemon cream is a tasty crisp sandwich biscuit rich in lemon cream filling. 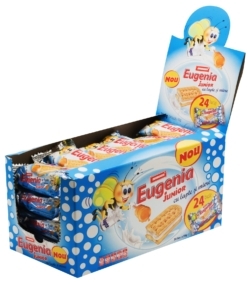 Eugenia with milk and vanilla cream is a tasty crisp sandwich biscuit rich in milk and vanilla cream filling. 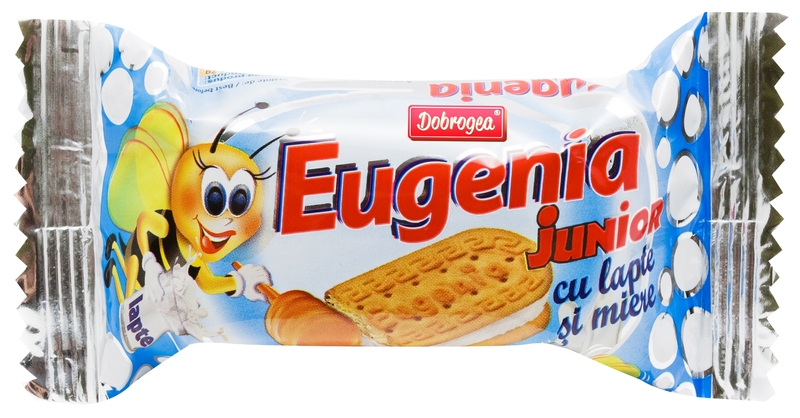 Soft biscuits with honey and milk cream, for all ages, but especially for children, and for all occasions: breakfast, snack, dessert, five o’clock tea, on trips. 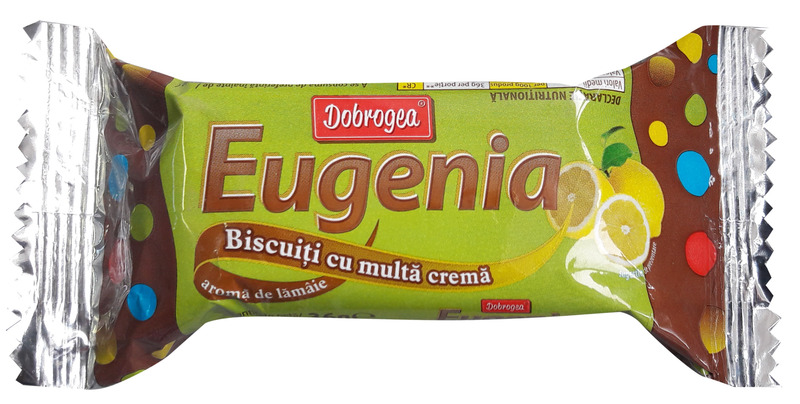 The honey content from both the biscuit and the cream gives a special flavor to the biscuit and the cream is enriched with milk for a fine delicious texture. 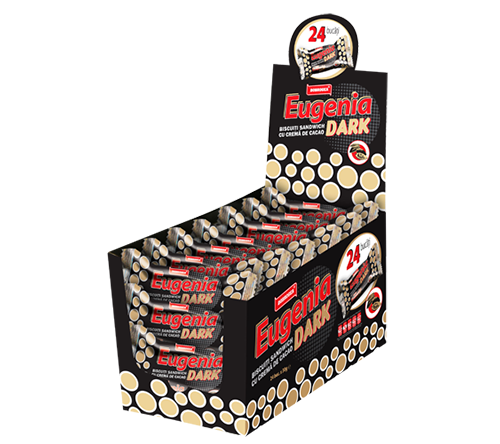 Soft dark biscuits and cocoa cream filling, for all ages and all occasions: breakfast, snacks, dessert, five o’clock tea and on trips. 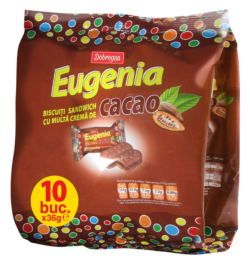 A biscuit with chocolate taste and flavor owed to the added cocoa. 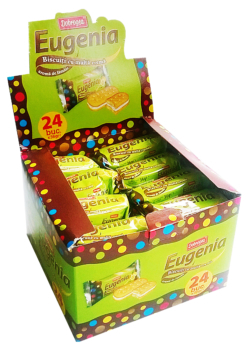 Biscuits for all ages and al occasions: breakfast, snack, dessert, five o’clock tea, in trips and also in fasting periods.